Ford and the University of Michigan are holding a student contest for vehicle-to-vehicle communications innovation. 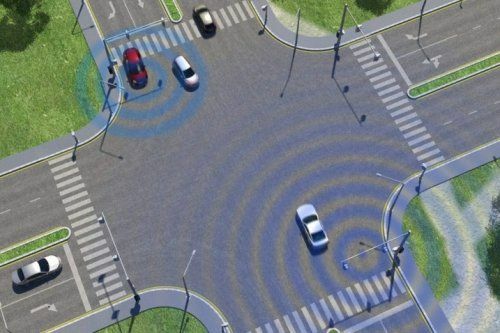 The University of Michigan's Transportation Research Institute (UMTRI) is holding a student competition hosted by Ford in which students are being challenged to innovate in vehicle communications technology, specifically for vehicle-to-vehicle (V2V) communications. Multidisciplinary student teams from across the Midwest will be encouraged to participate in the competition, developing new applications that could potentially benefit both individual drivers and public transit. The competition is part of the UMTRI and U.S. Department of Transportation's year-long program in which a test site in Ann Arbor, Michigan was established to enable wireless communications between vehicles and roadside equipment for developing future safety measures and technologies. Ford, for its part, has been developing V2V and vehicle-to-infrastructure (V2I) technologies for some time both here in the United States and in various cooperative endeavors in Europe. Ford has equipped and donated eight Taurus SHO cars with integrated V2V and data acquisition systems for the $25 million pilot program, the Safety Pilot Model Deployment, as part of the U.S. DOT and UMTRI program, which runs concurrently with this latest student competition in V2V. The challenge in this specific UMTRI competition is for the student teams to develop advanced, dedicated short-range communications applications to benefit road users in safety, mobility and sustainability. The teams are not limited to specific vehicles or vehicle types and are being encouraged to look at all road users including commercial and transit vehicles as well as motorcycles and passenger vehicles. Even bicycles and pedestrians may be included. Most of the teams are expected to be lead by engineering, electric, and mechanical students, but interdisciplinary spread is encouraged in order to develop holistic solutions. Teams will be given access to UMTRI's V2V lab for the duration of the project as well as both University and industry mentors and each team will be given a pair of two-way DSRC (dedicated short-range comm) devices along with antennas and cabling. Access to vehicles to install the devices on for testing as well as a budgetary stipend of $2,500 will be offered as well. Idea summaries to be considered for the competition are due December 1 and work will commence after the holiday break. The winning team will receive $5,000 with second and third place receiving $2,500 and $1,250 respectively. One award will be given for non-passenger vehicle ideas.